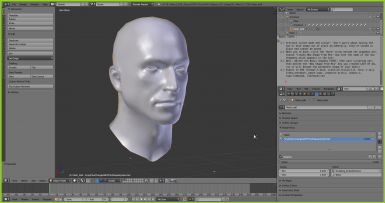 A Blend file with Geralt's head mesh and facial armature ... a quick-start for creating new player faces. they're locked in place and cannot be moved. shapekey which appears in the bin! high-res head to be used even in rare cut-scene instances when the camera is far away.